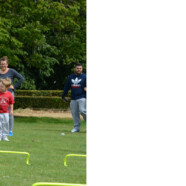 Thank you to all the pre-schools in Maldon who took part in the Prom Sports Day. We had a wonderful morning enjoying all the races including the hobby horses and the bucket and spade race. We loved the fact the parents joined in. More photos on our gallery soon! !